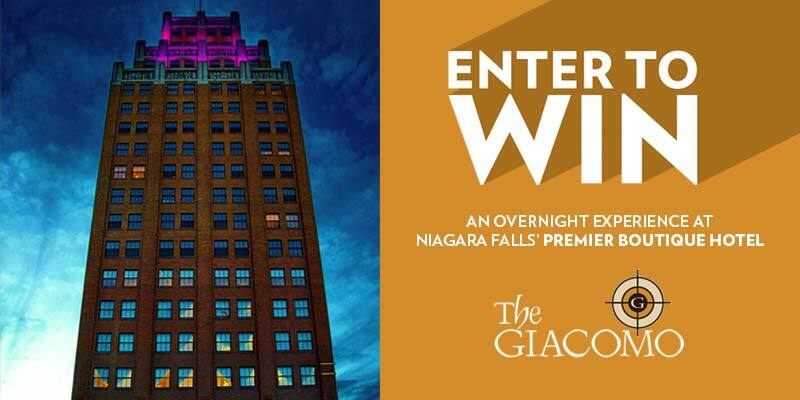 Enter to win an overnight experience at the Giacomo, Niagara Falls’ premier luxury boutique hotel! With so much to offer, the Giacomo is the perfect place to spend an overnight getaway. Enjoy your elegant overnight suite, our exemplary service, and complete access to hotel amenities available to help make your stay outstanding. The Giacomo is just steps away from Niagara Falls and the Seneca Niagara Casino, and features an in-house bar, the Giacomo Lounge. Contest winner will be selected following the last Distinguished Speaker Series of 2017-18 season on May 6.